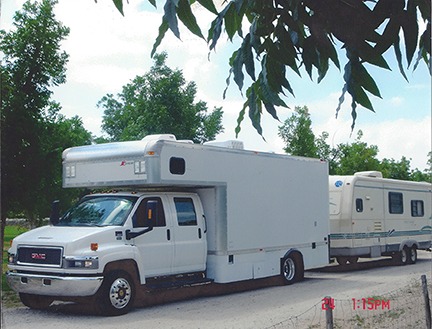 Our dog truck is loaded with safety features and conveniences for your dog while traveling through the United States/Canada/Mexico. Heavy-duty 1000 CFM Air Conditioner maintained at 65 degrees year round. All monitors are viewed from the driver’s seat. Crates are over-sized for your dog’s comfort.